WELL Spring was here this past weekend, and for some reason winter decided to return on Monday with a lovely snow fall. ANYWAYS I am going to pretend it is still actually SPRING and talk about a few of my favourite spring accessories since I should no longer have to wear hats, gloves, and scarves. The majority of which have all come from The Urban Shoe Myth… surprise surprise there! They have so much great spring product, so you should all definitely check it out. Sun glasses have always been one of my favourite accessories, and the funner the better. I am wearing a Matt & Nat pair, that is right, MATT & NAT now has sunglasses and I am in love with them. They are so light, and the styles are funky yet classic at the same time. I am wearing the MULE glasses, they are tortoise around the top and a more yellow/gold on the bottom. 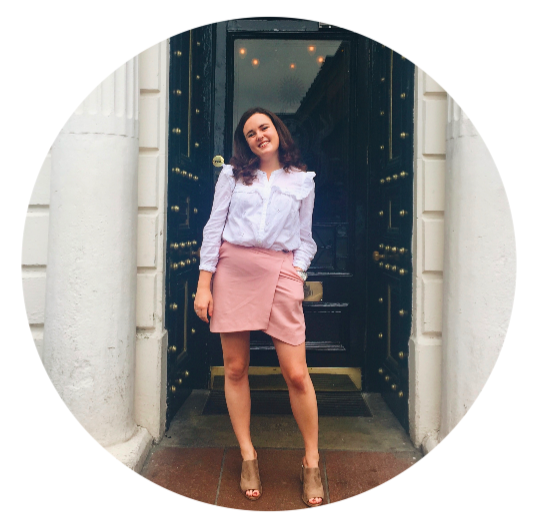 Last week I was reading an article on The Everygirl (my favourite website) about their recommendations for a “ten piece spring capsule wardrobe.” One of their must haves were white loafers! I know the colour is a little dangerous.. however, I love them and promise to take good care of them. Plus this pair from Michael Kors are just SO comfy, they didn’t require any breaking in at all, and the heel actually folds down so you can wear them like a mule if you prefer. My obssession with statement earrings has continued… I am wearing the Jenny Bird Two of Hearts in Silver. These Jenny Bird earrings despite being a bit larger are SO light, I don’t even notice that they are in my ears. I think big statement earrings are just so fun, especially for spring. I would love to get some big flower ones to add to my collection. This neckalce has become a new signature piece for me. It’s from Kate Spade and is the “One in a Million Pendant.” I have been on the hunt for a “L” necklace for a while, and I did spy this one, however it wasn’t until my bestfriend Claire was wearing it when she came home in February that I knew it was the right one. What’s more fun than having a matching necklace with your bestfriend?? So those are a few of my favourite spring accessories that I got to wear for a hot second before the snow returned! Also, incase anybody has noticed I chopped an entire 6 inches off my hair! My hair dresser said my hair needed a little love, and I thought it would be nice to go a little shorter for spring, plus it already looks so much healthier.